Morganite and Opal Halo style ring. 14k Rose gold set with the wildly popular 6mm round Genuine Morganite AA quality pink color gemstone. 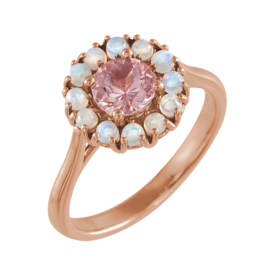 Ethiopian Opals surround the center Morganite in this feminine design. 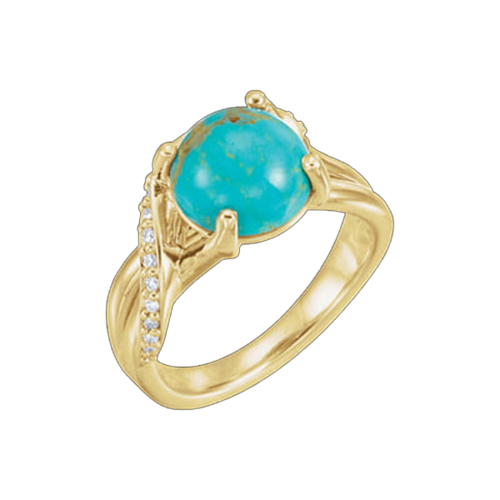 Pretty 14k Gold Turquoise and Diamond ring. This ring measures about 12.3mm by 11.5mm at the top design. Genuine Turquoise are 2.0mm round with the exception of the center which measures 2.5mm round. Four accent diamonds are tiny at 1mm each. 14k Gold Carnelian and Mozambique Garnet. Reddish orange Carnelian center measures 10mm round and accented either size with a dark orange red 3mm Mozambique Garnet. 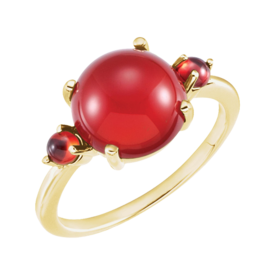 Beautiful colored ring, the perfect autumn accessory. 14k Gold Nephrite Jade ring. 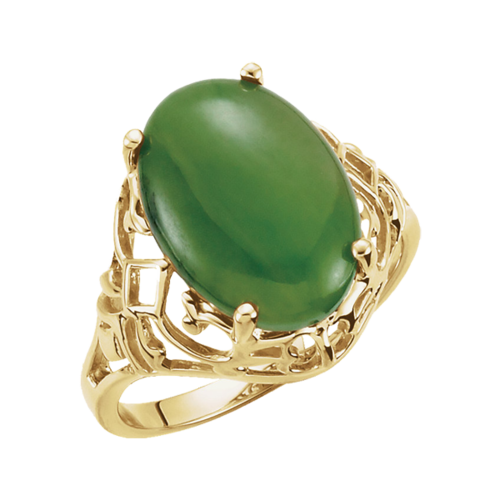 Openwork design 14k gold is set with large 14x10mm genuine Nephrite Jade. This lovely ring weighs 3.71grams (before the Jade). Shoulder width is 3.39mm then tapers down to 1.85 at the base. 14k Rose Gold Pink Morganite and diamond ring. This ring is HOT. Oval Pink Morganite measures 9x7mm and surrounded with 1/8ctw diamonds. Be sure to check out the video on this one. Best Seller!!! 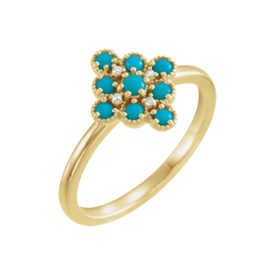 Lovely 14k Yellow Gold Turquoise and diamond accent ring. Turquoise measures 10mm round and is a beautiful color. Diamond accents total 1/6 ctw. This substantial ring weighs 7.75grams and is a stock size 7. Available in 14k Yellow or White. Beautiful Emerald cut Morganite with diamond accents ring. 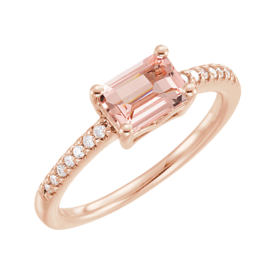 14k Rose gold is set with a Peach Morganite that measures 7x5mm Emerald cut shape. 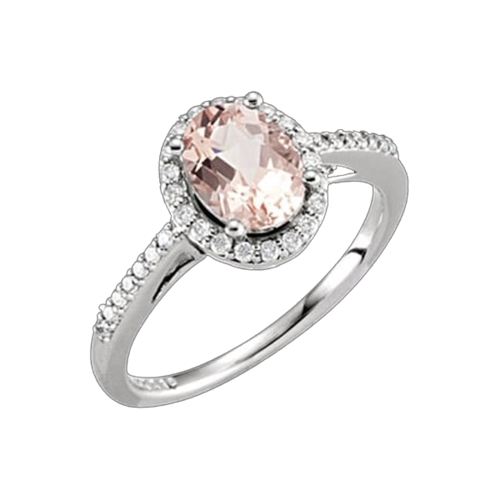 Accent diamonds total 1/10ctw and are along the rings shank either side of the lovely Morganite center. This pink tourmaline and diamond ring is a Pink Beauty. 14k White gold is set with a genuine Pink Tourmaline that measures 7x5mm oval, is faceted and AA quality. Diamonds surround the center and upper shank of this ring, they total 1/4ct tw. Beautiful pink Morganite and diamond ring. 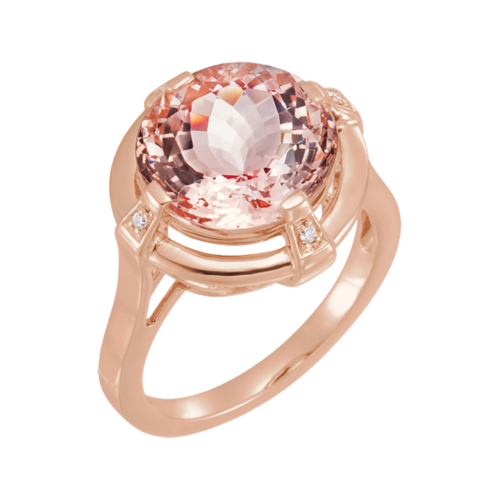 14k Rose gold is set with a large beautiful 12mm round genuine Morganite gemstone and accented with white gold and diamond prongs. Morganite is 5.4 carats and features a unique checkerboard cut. Very lovely unique gemstone ring. Free ring sizing. 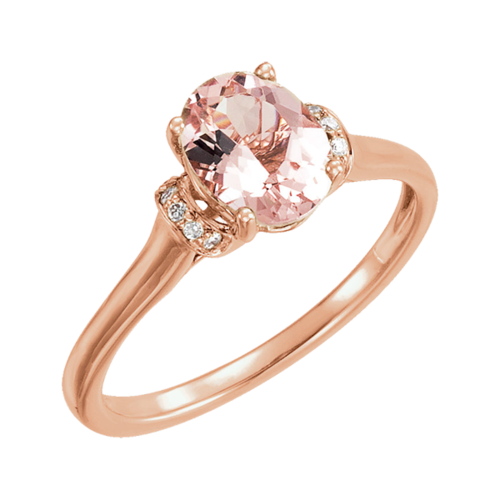 Rose Gold Morganite and Diamond Ring. 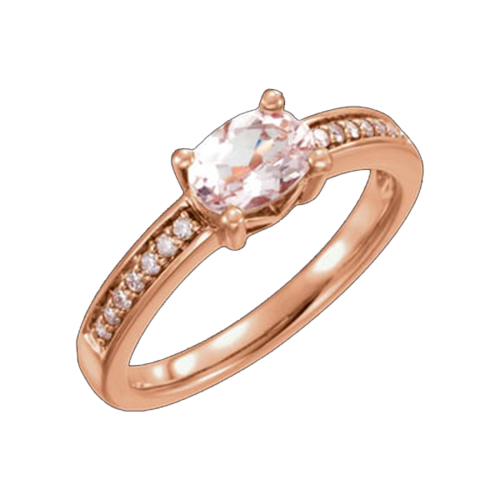 Lovely 14k Rose gold Morganite and 1/10ctw Diamond ring. Genuine Pink Morganite is a 7x5mm oval stone and accented with 1/10ctw diamonds. Split style shank gives this ring it's unique style. Lovely Morganite and diamond ring in 14k White or Rose gold. Genuine Morganite is an oval 8x6mm gem accented with 1/5ctw diamonds halo. Stock size 7. 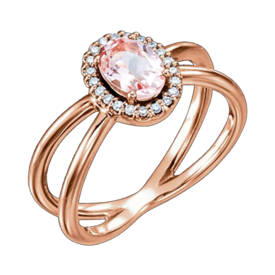 Pretty 14k Rose gold Morganite and diamond accent ring. Genuine Morganite is measures 8x6mm oval and accented with .05ct diamonds. Morganite is a peach color gem. Ring is stock size 7. Lovely 14k Rose gold Morganite and diamond ring. Romantic Rose gold is set with an oval Genuine Morganite that measures 7x5mm and is about .82ct. Diamonds total 1/10 ct and add a little sparkle. Ring measures about 5.9mm wide across the top and at the shoulder 2.6mm. 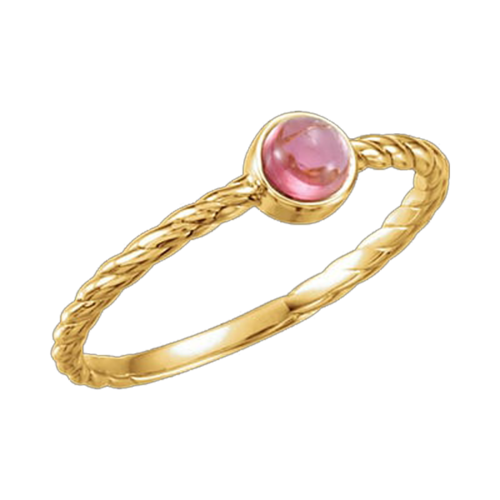 14k Gold Pink Tourmaline design ring. A 4mm round pink tourmaline is the focal point in this rope design ring. Very popular tourmaline ring. 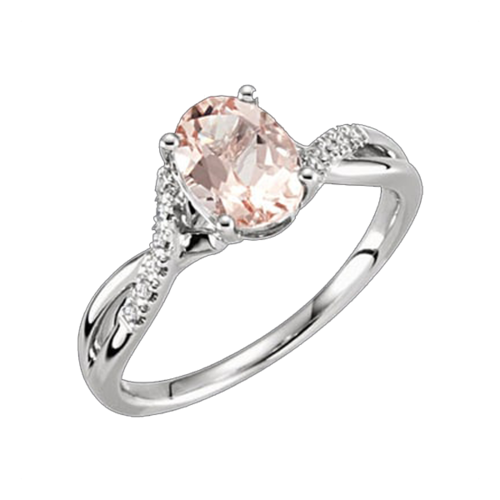 Beautiful 14k white gold Morganite and diamond twist design ring. Diamonds are a great accent on either side of the feminine pink Morganite center. Diamonds total .06ctw. Center oval pink Morganite measures 6mm x 8mm and is about 1.28ctw. This ring measures about 3.5mm at the shoulder and narrows to about 1.5mm at the base. Ring is 8mm wide at the top. Very pretty ring. Pretty 14k white gold Morganite and diamond ring. This lovely design features a 1.57carat center oval faceted Morganite flanked either side with a 5x3 1/5 carat Morganite. 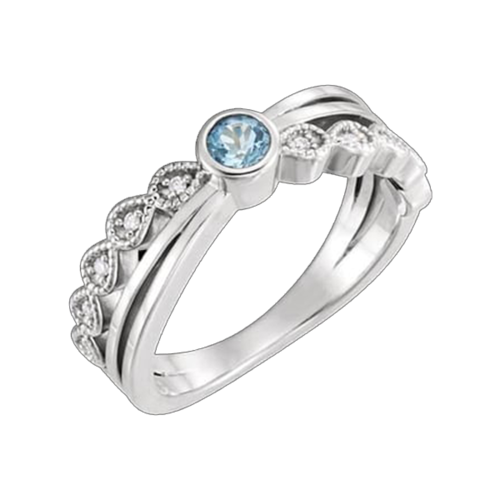 A three stone ring design surrounded with 1/10ctw diamonds adding some sparkle to this design. 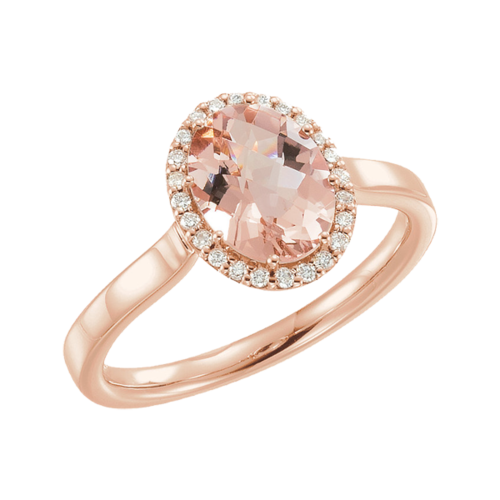 If you like the soft pink Morganite you'll love this ring. Morganite ring measures about 7.5mm wide at the top, 3.7mm on the shoulder shank, then tapers down to a 2.3mm at the base. Stock Size 7. 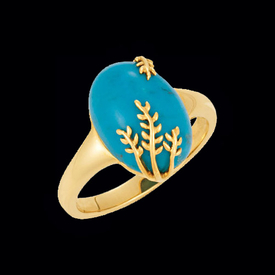 Chinese Turquoise is beautiful with 14k yellow gold branch designs laying across it's top. The turquoise gem measures 14mm x 10mm oval. Lovely 14k yellow gold Opal and Sapphire ring. Unique design features a genuine marquise Opal surrounded by blue sapphires. Great design is stocked in a size 7. A beautiful combination you're sure to love.